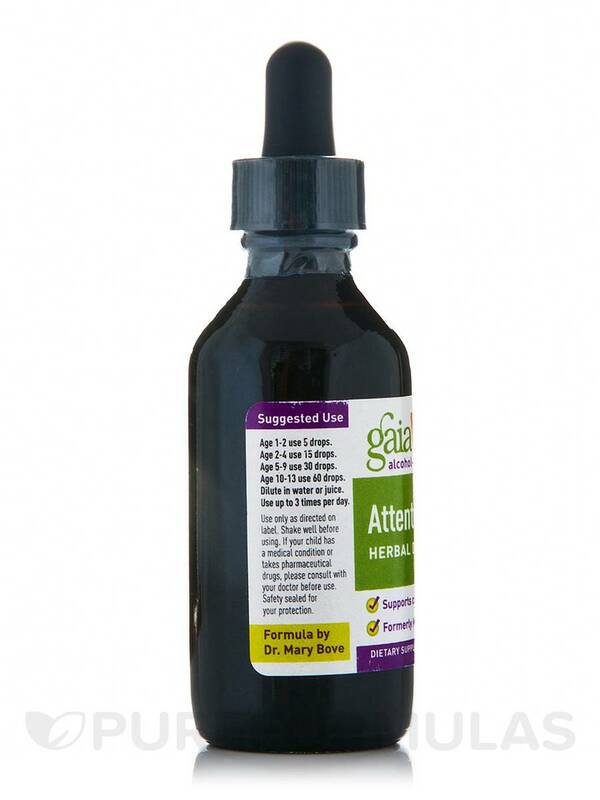 My daughter doesn't mind taking Attention Daily Herbal Drops by Gaia Herbs, and we've seen her be able to settle down and focus on her school work, as well as have an overall sense of well-being. 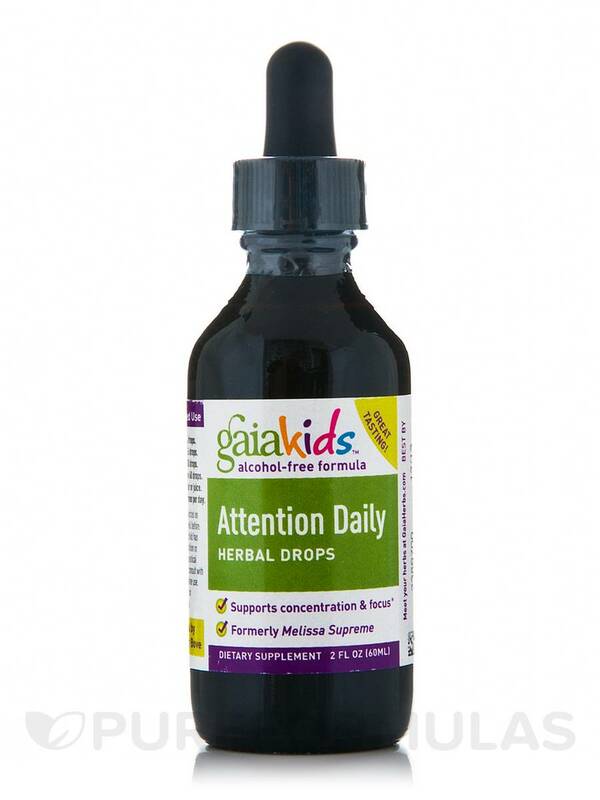 Attention Daily Herbal Drops for Kids supports a healthy nervous system and nerve tissue and Gentle Calming Action - calms occasional nervous irritability‚ sensitivity‚ and excitement; relaxing muscle and nerve agitation; and calms the mind. Gotu Kola - supports normal mental functions such as concentration‚ memory and alertness‚ along with having a relaxing affect. Wild Oats milky seed** (Avena sativa) Irish Moss fronds+ (Chondus crispus)‚ Gotu Kola leaf** (Centella asiatica)‚ Pure Vegetable Glycerin and Water. Dilute in water or juice. If your child has a medical condition or takes pharmaceutical drugs‚ please consult with your doctor before use. Helps my 2nd grader focus on schoolwork! I wish it was sold in bigger bottles for a cheaper refill on the smaller ones.